When you set out to improve the most respected touring machine on earth, you don't take shortcuts and you sure as hell don't accept any limits. LED Tour-Pak Lighting: Bright, eye-catching LED Tour-Pak luggage carrier lighting isn't there for glory. Being seen is important when you're on a motorcycle. All riders know it. It comes standard, thanks to Project RUSHMORE. High Output Twin Cam 103 Engine: Asking riders if they’d like more passing power is like asking them "Would you like more beer in the pitcher?" when they've reached their final destination at the end of a long, dusty ride. Everybody wants it, and the High Output Twin Cam 103 engine is 103 cubic inches of Harley-Davidson V-twin you can rely on to deliver it. The airbox delivers increased intake airflow and the cam optimizes phase and duration. The result: better low-end torque and faster 60 to 80 mph 5th gear roll-on to get you around that 18-wheeler. 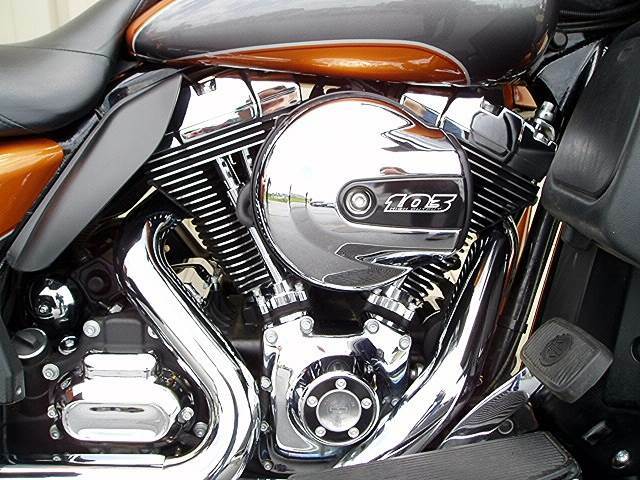 In the tradition of the Flathead, Knucklehead, Panhead, Shovelhead, Evolution, Twin Cam 88 and Twin Cam 96 engines that came before it, the High Output Twin Cam 103 engine is raising the bar for the feeling an engine delivers to the rider. 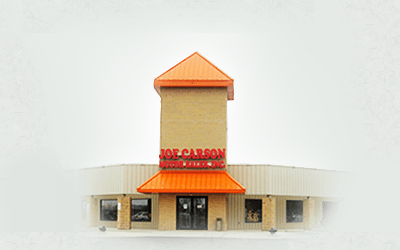 There’s a reason we’re called the Harley-Davidson Motor Company. Once you send some fuel to this engine, you’ll have no doubt whose it is. Two-Up Road King® Seat: A classic feature revamped for contemporary looks and performance—without sacrificing an ounce of nostalgic style. Sculpted with a deep bucket and narrow neck, this ultimate Touring saddle relieves pressure on your thighs while providing more back support and comfort for a wide variety of rider sizes. And the lower seat height—693 mm to be exact (739 mm unladen)—puts your feet closer to the road to enhance your confidence. Additionally, the leather trim and premium stitching accentuate the advanced ergonomics while giving the seat that sharp detail you only find on a Harley-Davidson motorcycle. It's science in service of comfort, and your way to beat fatigue over the long haul. Wide Set Handlebar: Classic style and maximum comfort. 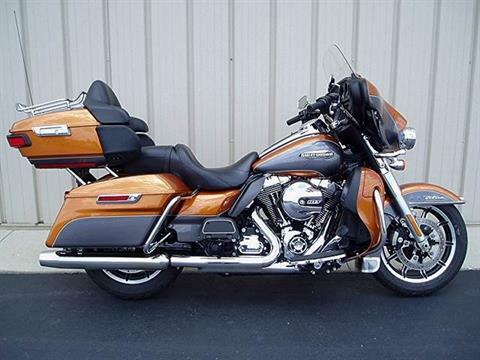 That's the perfect balance of the wide set handlebars that come standard on the Electra Glide® Ultra Classic® model. They're designed to keep you comfortably propped in a commanding position while making sure your neck muscles stay calm and relaxed mile after mile, state after state. Durable stainless steel ensures the structural rigidity you expect from a Harley-Davidson motorcycle with the deep, lustrous finish you desire. Project RUSHMORE – Convenience: If you want the ride to be truly epic, you have to sweat bullets to make the little things work exactly right. This is what Project RUSHMORE was all about. 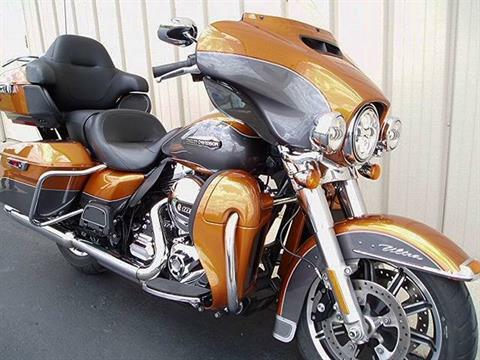 Now you have saddlebags and Tour-Pak luggage carriers that can be easily opened with one hand. Compartments that open with one touch. And we’ve increased the storage space on these machines without ruining the sleek, road-eating look of the bike. It all adds up to hundreds of little moments where things just click conveniently into place. Because there can be no imperfections in the quest for the perfect ride. Boom!™ Box 4.3 Radio: Let’s start with this: 25% more volume for your tunes. The Boom! Box 4.3 Radio puts out 25 watts per channel at 1% distortion and features a factory-tuned, optimized equalizer that pumps out more power and can be played louder while maintaining the clarity of your sound. And the speed tuning system delivers more than just volume changes at different speeds. It changes the level of bass and treble to dial in the best sound, whether you’re running at a stately pace down the strip or going hell for leather down an open stretch of road. And if you want even more you can go with the optional Boom! Box 6.5GT that puts out 25 watts per channel and has integrated satellite radio. How do you like the sound of a Harley® motorcycle now? Jukebox with USB Port for iPod / iPhone: The Jukebox opens with one touch of a button and includes a USB connection which accepts your iPhone, iTouch, non-iPod imitators, and SD card and other USB compatible devices. 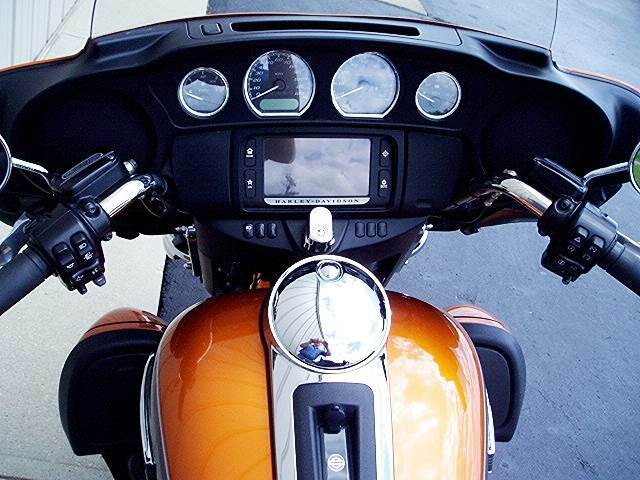 Pop it open, plug in and your device becomes a part of your motorcycle. Ready to be operated by voice command or hand controls. 5.25-Inch Front and Rear Speakers: The sound delivered front and rear comes from 5.25-inch speakers mounted securely in sealed and tuned enclosed speaker housings. 500% Larger Buttons for Easier Operation: You wear gloves when you ride so our buttons are designed to be operated with gloves on. They’re fully 5 times larger than before. Even the little improvements were done in a big way. 17-Inch Impeller Front Wheel: Sitting out front on the Electra Glide Ultra Classic you’ll notice a 17-inch cast aluminum, 10-spoke Impeller wheel. In the back you’ve got a 16-inch Impeller to match. The brake rotors are designed to show off more of the premium custom look of the wheels. Because if you’re going to go this far, you might as well take it all the way. 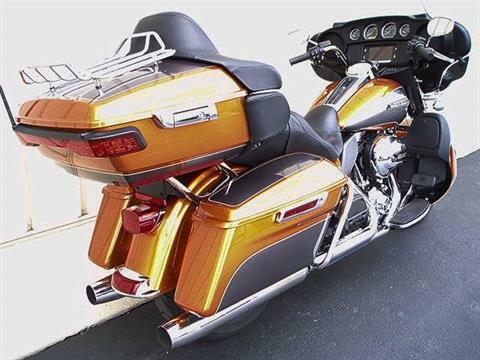 Classic Fuel Tank: Part of the unmistakable style of the Harley-Davidson Electra Glide Ultra Classic motorcycle is plenty of room for showing off your paint. This classically styled, bold 6-gallon fuel tank doesn't just give you a bigger canvas for premium or custom paint; it holds 6 gallons of go so you can eat up a lot more road between pit stops. We know fuel economy is important—but so is style. A dual-color paint scheme, crisp pinstripes and unique Harley-Davidson tank medallions give this ride a one-of-a-kind look. Inner Fairing Design: Put your eye to the inner fairing of the Electra Glide Ultra Classic motorcycle. There’s a bigger display screen (see the whole story in the infotainment section). Check out the gauges. You’ll notice a 10% larger viewing area, with wider, taller numbers sitting on top of that classic black background. The information gets bigger and better too. There’s a gear indicator for all six gears and the display area, which can now be operated by an extremely convenient trigger switch, puts more information at your fingertips. The temperature and fuel gauge are larger too. When you’re on the road, one quick glance tells you everything you need to know.